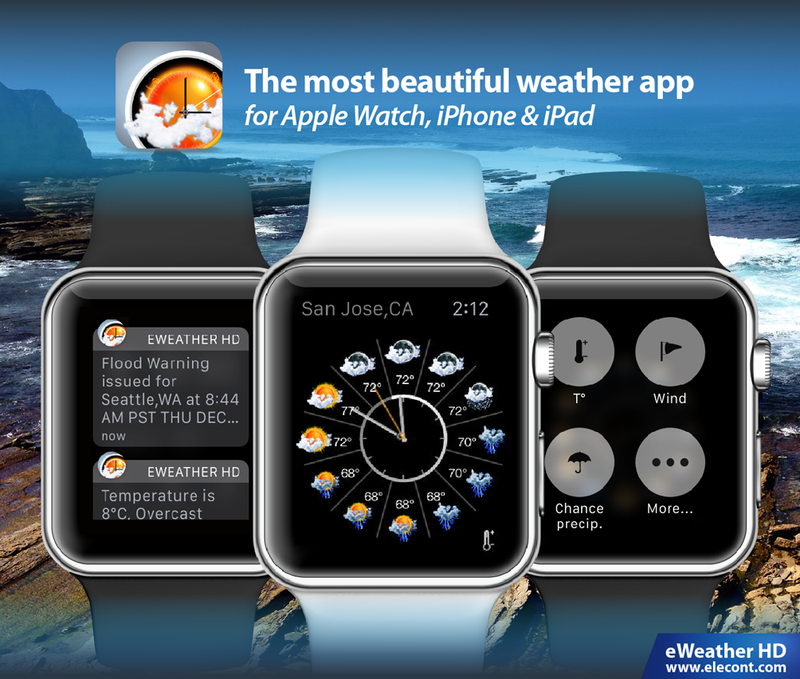 The World's only iPhone, iPad and Apple Watch app specifically designed to provide all the info you need in one place: the most accurate hourly weather forecast, detailed 10-day weather forecast, long-range weather forecast up to 12 months ahead, tide predictions, earthquakes, sea surface temperatures, buoy data, weather alerts, animated weather maps and many other features! 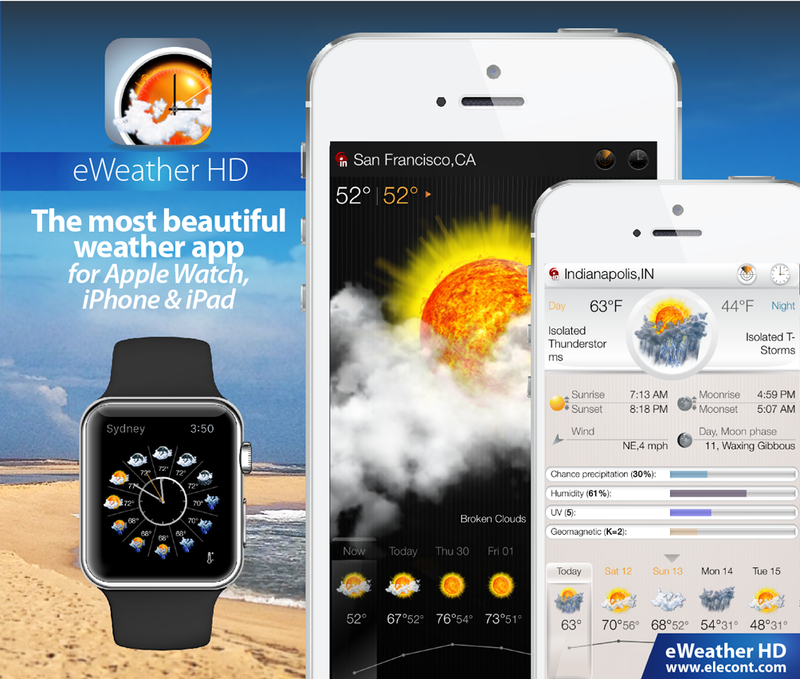 eWeather HD version 3.5 designed with lots of passion & love! 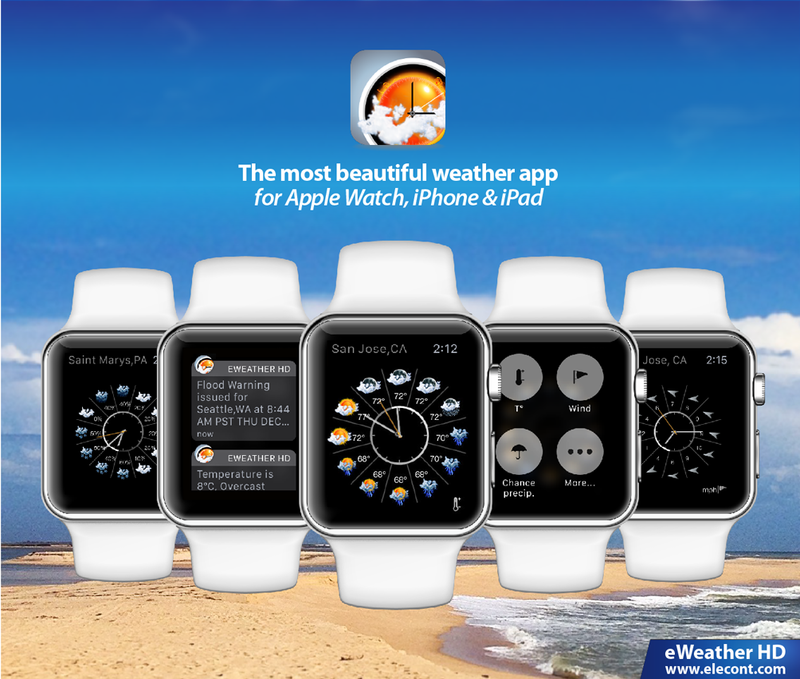 Dear friends, you have long been asking for Apple Watch app - we have done that! * Severe weather alerts and notifications about changes in weather conditions are available as notifications on your Apple Watch. 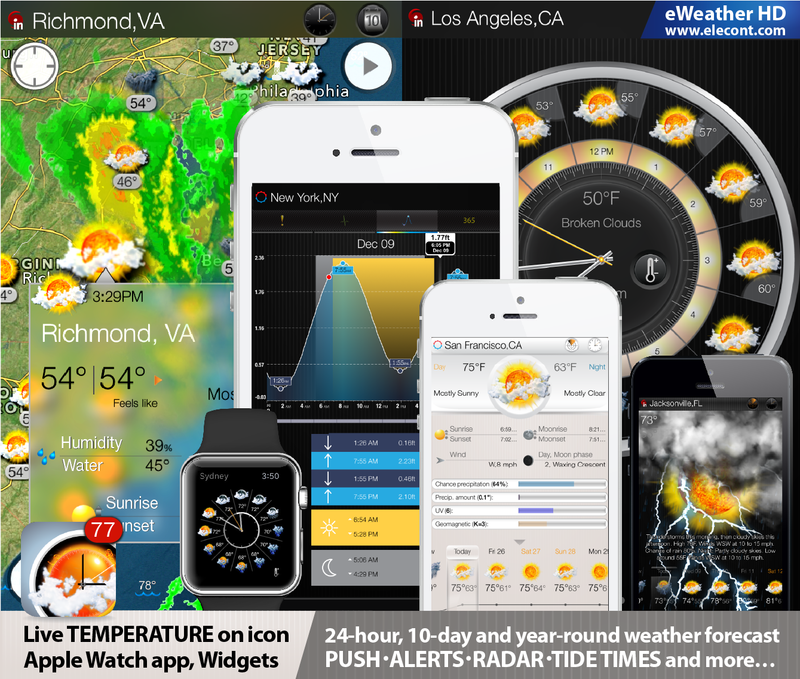 eWeather HD provides tidal predictions for more than 12,000 stations worldwide. We hope you enjoy this new version! ... also the list includes almost all coastal countries around the world. Knowledge of tides is an important element of boating safety. Knowledge of tidal information is essential for navigating a shallow waterway or placing your boat at anchor. The success or failure of a voyage can depend on the height or depth of a tide, while knowledge of current information can save fuel and make passage into a river or channel safer. eWeather HD goes further than the tables provided by the NOAA. eWeather HD automatically accounts for correction factors and provides instant information without requesting that you account for time lags, daylight savings conventions, or height differences between the reference stations and the locations you are seeking. Since the tidal information that is published in this app is not subjected to the use of the voyage, please do not use for navigation. 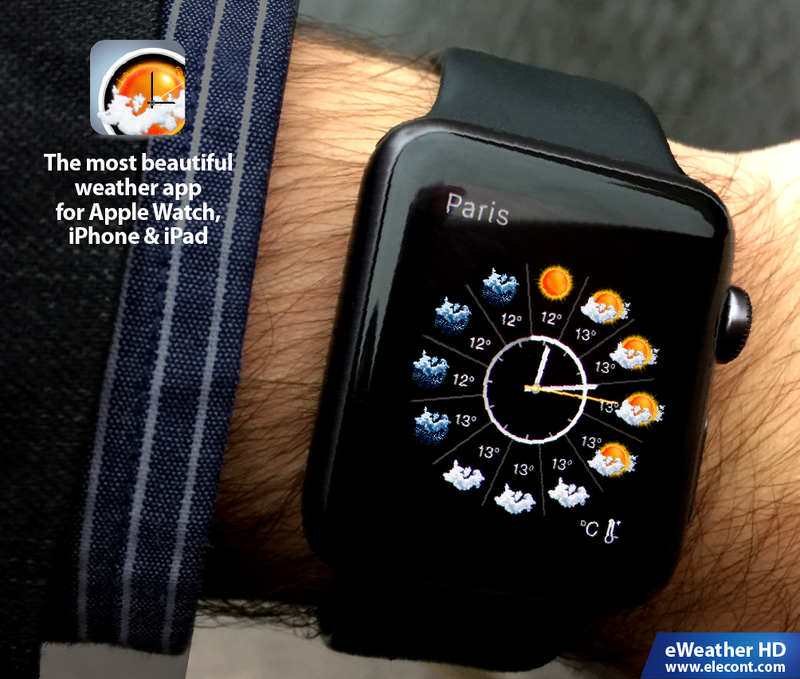 ▸ Widgets: Weekly forecast and animated "Weather Clock"